Iron / 100 Caps - Nature's Way®. Essential for carrying oxygen to red blood cells. 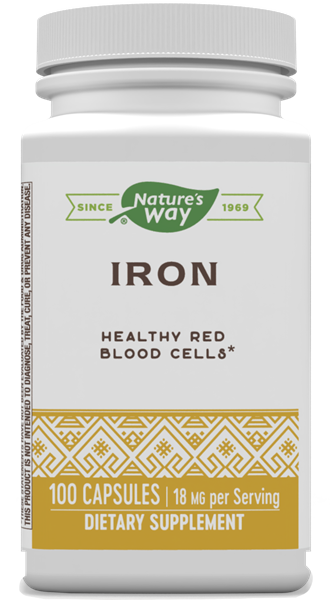 Iron is an essential part of hemoglobin, the oxygen-carrying molecule in red blood cells. It is also found in enzymes necessary for respiration.